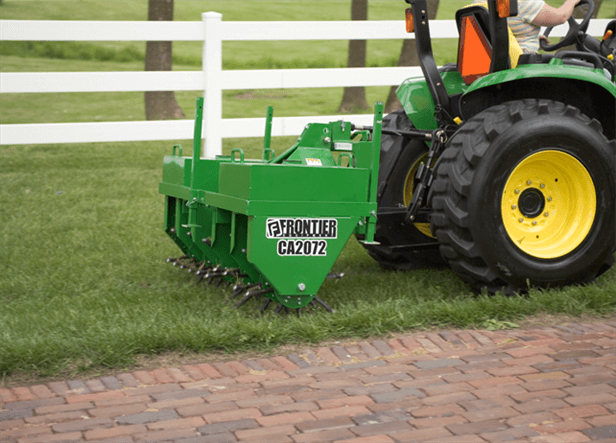 The 20 Series Economy-Duty Core Aerators are compatible with tractors of 20 to 50 horsepower. They're perfect for landscaping professionals and homeowners with big yards. Six aerating spoons per hub penetrate heavy thatch and tough soils to break up soil compaction and revitalize lawns.